Comments: Fast growing tropical plant with very large, variegated foliage. Can be grown in wet places and in edges of bodies of water. Makes an excellent container plant. Can be somewhat aggressive when growing in fertile soil with a lot of humus in the soil. Foliage dies back in winter, but is absent for only a short period. 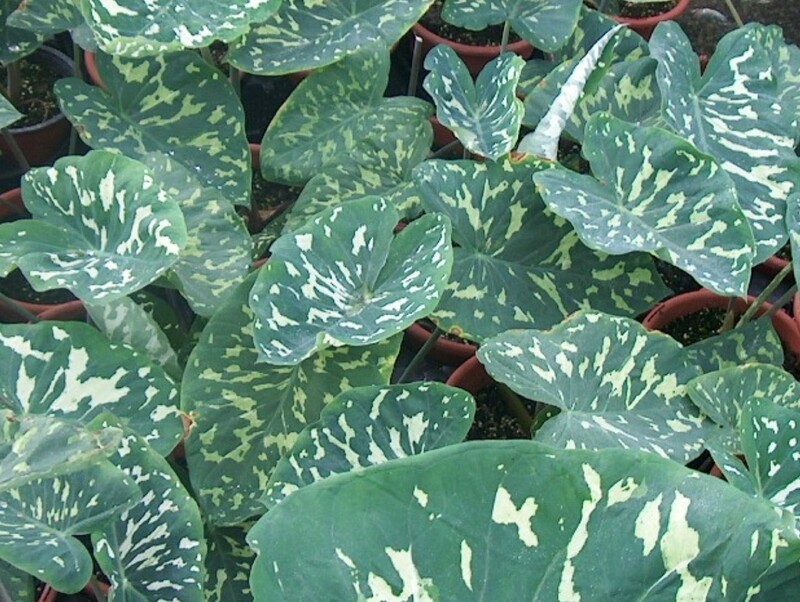 Be careful about introducing common elephant ear plantings to water edges. Plantings escape cultivation and are difficult to control. In order to obtain larger leaves, remove small side bulbs. Respond very favorable to applications of fertilizer during the growing season if want larger foliage mass.